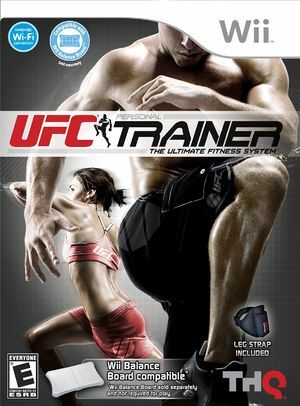 Designed by NASM with support from leading mixed martial arts (MMA) training experts Mark DellaGrotte, Greg Jackson and Javier Mendez, the fitness routines and full programs included in UFC Personal Trainer: The Ultimate Fitness System will deliver a challenging and motivating UFC fitness experience that includes the best and most effective exercises utilized by today's renowned UFC fighters. DellaGrotte, Jackson and Mendez currently operate three of the most prominent MMA training facilities in the world and have significantly contributed to the success of many elite UFC fighters, including current UFC Light Heavyweight Champion Jon Jones, current UFC Heavyweight Champion Cain Velasquez and former UFC Heavyweight Champion Frank Mir. There are some letters missing in the game menu as well as the written words the trainer say in the exercises. Such can be corrected by revising the Texture Cache Accuracy to any non-fast setting. Refer issue 10703. The graph below charts the compatibility with UFC Personal Trainer: The Ultimate Fitness System since Dolphin's 2.0 release, listing revisions only where a compatibility change occurred. This page was last edited on 16 January 2018, at 23:23.